The 9.7-inch iPad Pro overtakes Microsoft’s Surface Pro 4 in color accuracy and sets records for screen reflectance. Update, April 12, 2016, 12:37 p.m. Pacific: A previous version of this article claimed Soneira's analysis didn't cover True Tone or Night Shift. It did, and we regret the error. The corrected article appears below. Just in case you don’t believe your eyes, a third-party display expert has given top marks to Apple’s 9.7-inch iPad Pro. 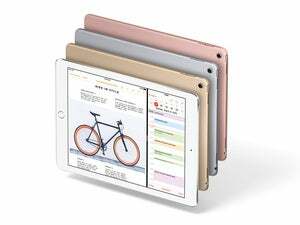 Although Apple’s latest iPad looks similar to the iPad Air 2, it contains major improvements in color, reflectance, and brightness, says Raymond Soneira of DisplayMate Technologies. But, as with all displays, there’s room for improvement. The 9.7-inch iPad Pro also set a record among tablets and smartphones for low screen reflectance—an often-overlooked quality that helps the screen remain legible in bright ambient light. Although the iPad Air 2 was already a top performer in this category, the new iPad Pro does even better, thanks to an anti-reflection coating that kept out all but 1.7 percent of ambient light in DisplayMate’s tests. DisplayMate’s tests also took into account the iPad Pro’s ballyhooed True Tone display feature, which automatically adjusts white point and color balance based on ambient light to look more like physical paper. Soneira didn’t seem so enthused about this feature, saying he’d like to see a slider to make the effect more or less pronounced. Soneira also reviewed Apple’s Night Shift feature, which reduces blue light as the evening goes on, though the feature isn’t likely to help with sleep as much as Apple claims. Soneira previously told Macworld that these features may not accomplish much beyond a placebo effect and subconscious behavioral changes, and has written his own piece on what consumers can do when using displays at night. 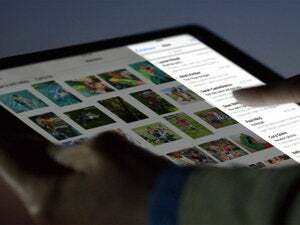 Why this matters: The iPad hasn’t always been at the top of the game in display accuracy, and DisplayMate has previously called out Apple for subpar performance in the iPad Air and early iPad Mini models. While appealing to display geeks may not have mattered much a few years ago, the iPad’s newfound attention toward artwork and photography applications has made color accuracy a greater priority, and it shows in DisplayMate’s latest tests.